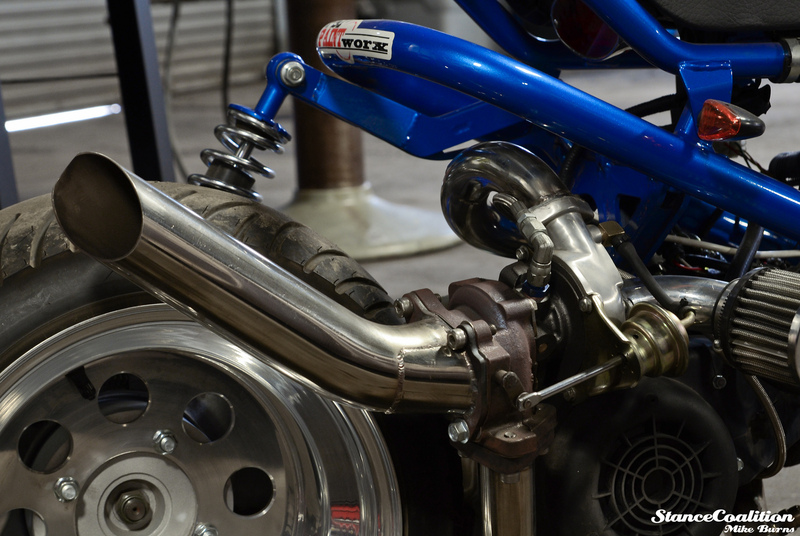 We had the chance to head down to PSI PROformance in Lansdale last week and in fact, one of the latest S/C project cars was getting a straight pipe exhaust installed by shop owner, Travis. 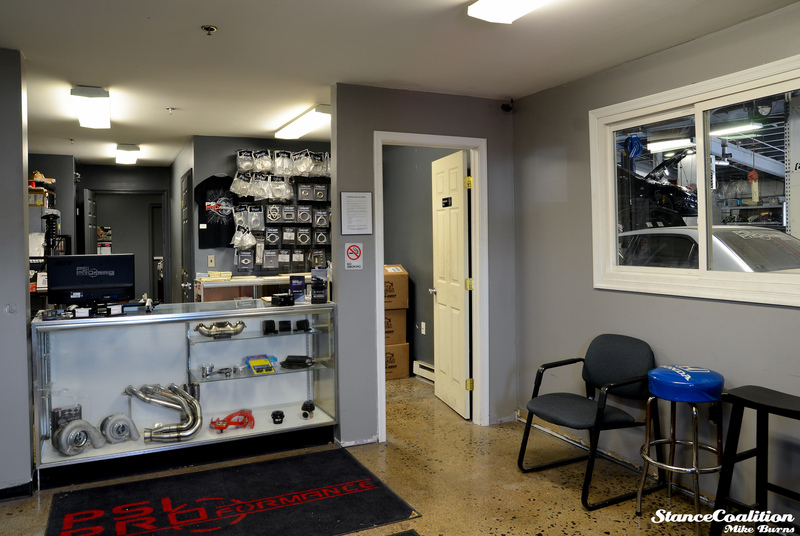 PSI PROformance , established in 2009 was taken over by current shop owner, Travis Bishop in 2011 to make it into the thriving performance shop that it is today. In late 2011 all of the owners went their own ways and Travis was left with the sole owner ship of PSI PROformance. 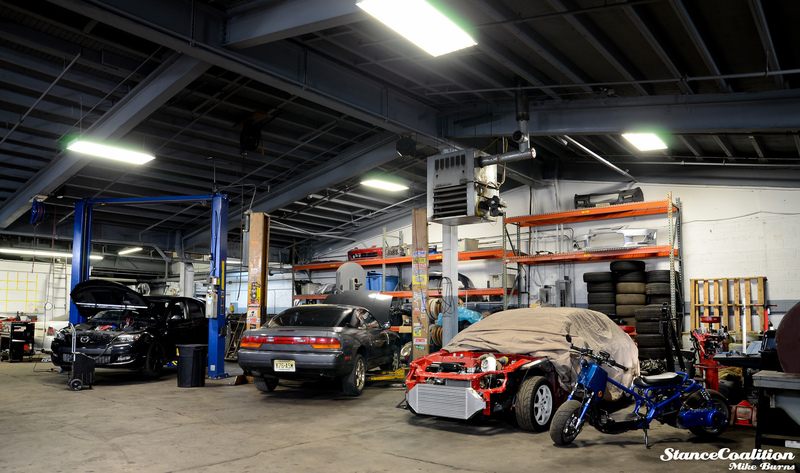 The shop then underwent a slight facelift with new equipment, a wider range of services, and narrowed their focus primarily on performance work and tuning. PSI PROformance has also expanded their welding and fabrication services and they make some pretty mean looking turbo manifolds! 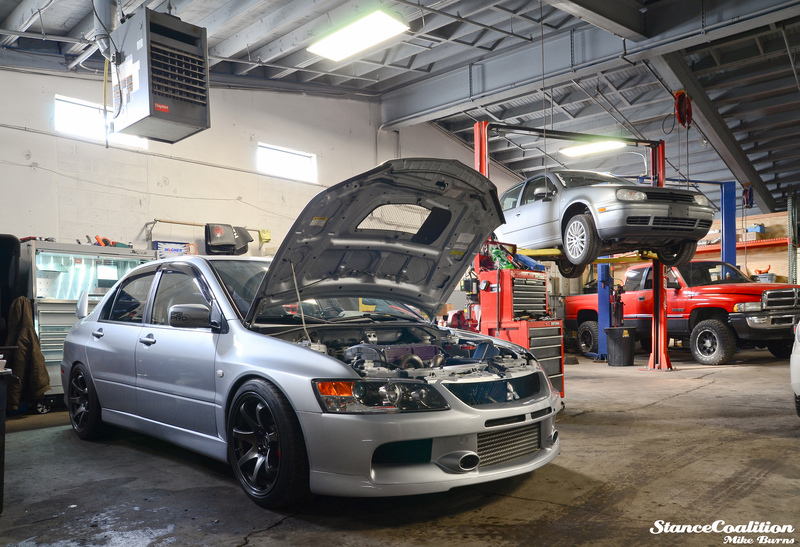 Outside the shop were a bunch of Evo’s and STI’s, not to mention the 900HP street driven Evo that was taking a break on the dyno. 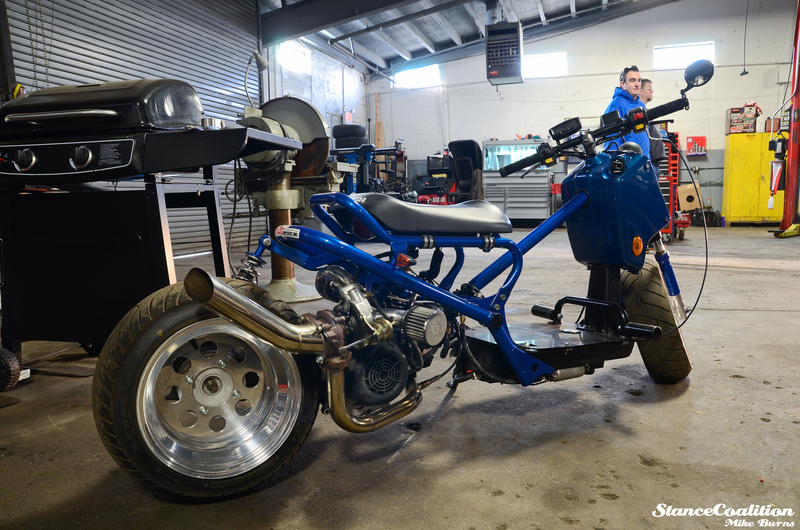 One of the coolest builds in the garage was this built, turbo Honda Ruckus! Never have I seen a front mount intercooler with custom end tanks to swivel out away from the car to work on the motor. The detail and quality of the work at PSI is outstanding! 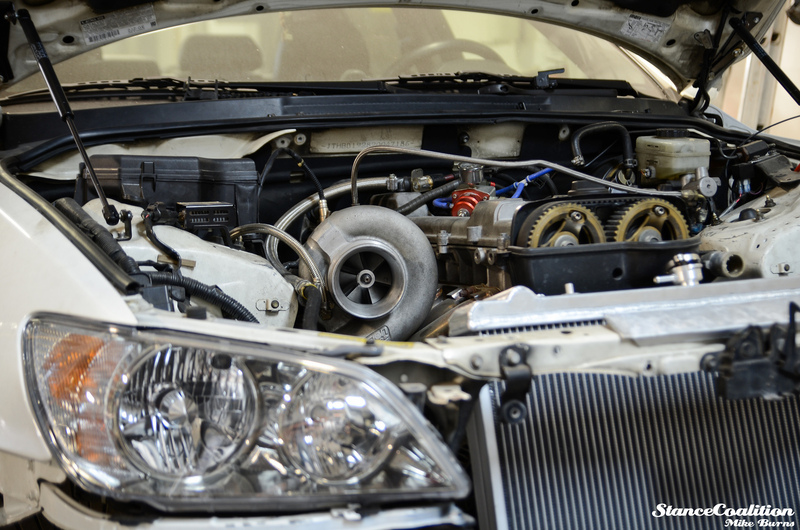 PSI does everything from turbo systems, tuning, custom fab, wiring, and general maintenance. 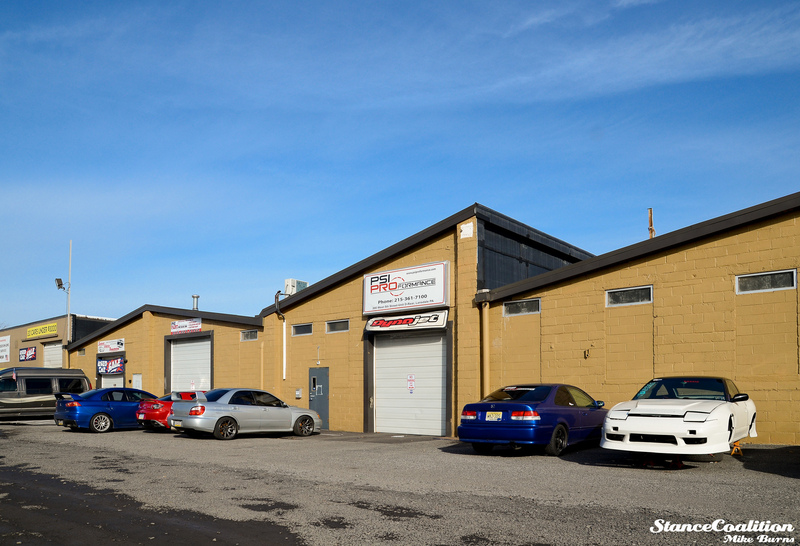 So next time you need something done to get some more power out of your car, hit up PSI PROformance in Lansdale!